Fish up to Just Over 8 Pounds! 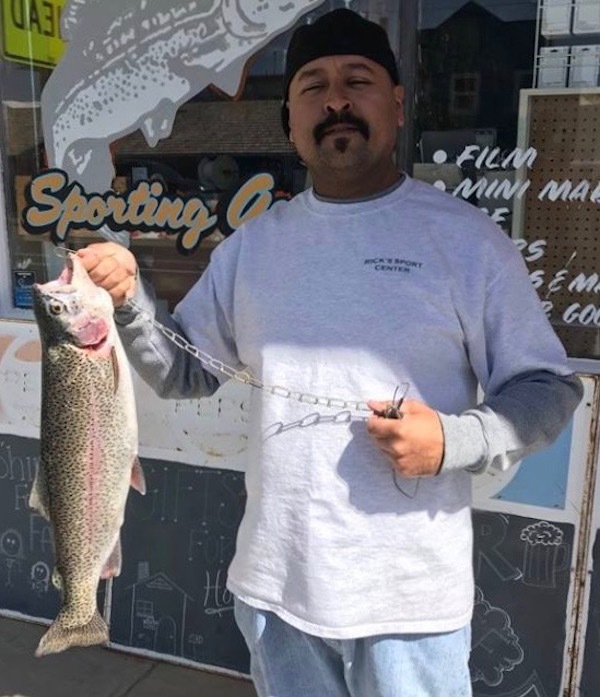 Bridgeport had some pretty windy days this week but when the boats were able to get out there the trolling and bait fishing was great with fish up to just over 8 pounds making a showing this week. Lots of other fish in the 2 to 6 pound range have also been reported. The browns seemed to be a little shy this week with just a handful of them in the 2 to 3 pound range being reported. Trollers have been using rapalas, mira shad, speedy shiners and night crawlers. Bait anglers have been using inflated crawlers, pinched crawlers, mice tails and power bait. There are still some fly anglers pulling some fish down near the dam with streamers like twin lakes specials, zuddlers, double bunnies and leech patterns. The shore fishing seems to have slowed down a bit but there are a few fish being caught down near the dam still, mostly with bait.